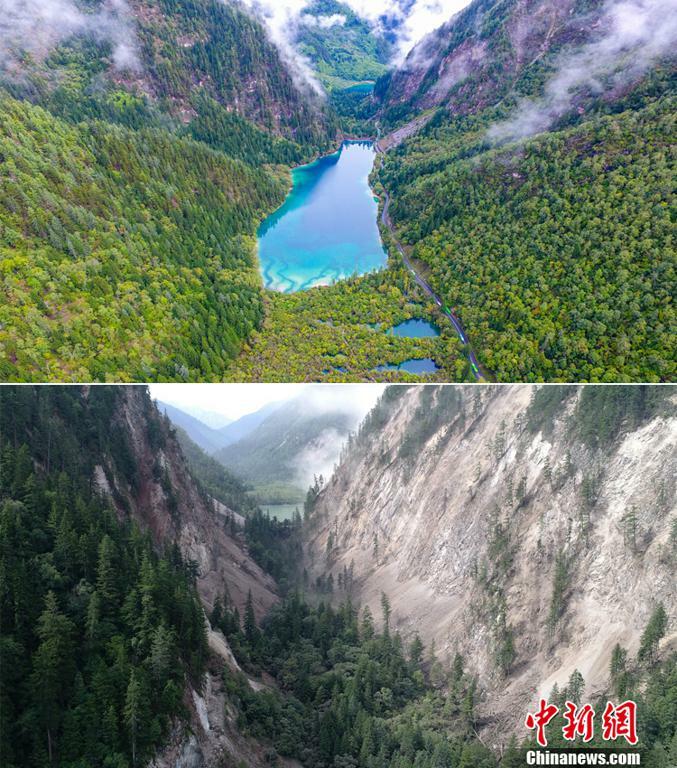 Fig 1 The aerial photograph on the left shows Jiuzhaigou valley before the earthquake (Taken by li heng). 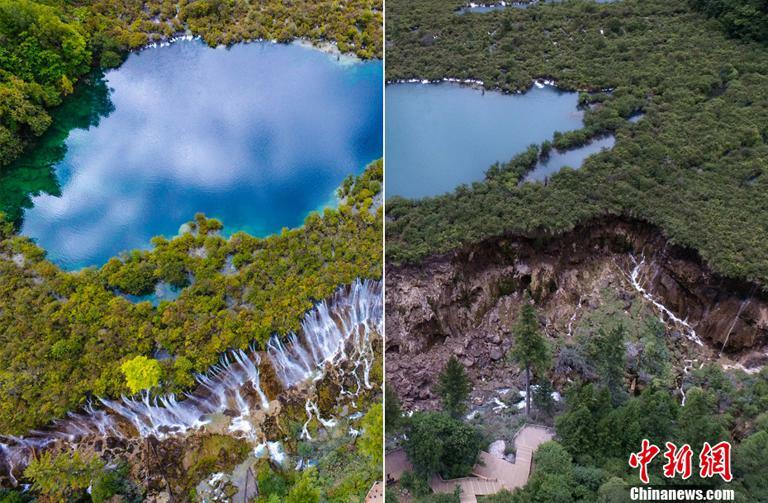 The aerial photograph on the right shows Jiuzhaigou valley after the earthquake (Taken by Hu Jin). Fig 2 The above aerial photograph shows Jiuzhaigou valley before the earthquake (Taken by li heng). The below aerial photograph shows Jiuzhaigou valley after the earthquake (Taken by Hu Jin).